The reason for the season is getting together with family and friends and celebrating the birth of Jesus Christ plus enjoying some good food and beverages along the way! Many people entertain during this time of the year plus decorate the home with all sorts of beautiful Christmas decorations. I don’t think two homes are identical but they all share one thing- the potential to injure or hurt dogs and cats. All families want their furry friends to be part of the holiday season but care must be taken to prevent injuries in the home. Pets and Christmas safety are important things to consider. Everyone loves the smell of a freshly cut Christmas tree. For many people, just the smell brings back many pleasant memories of past Christmas times. For a dog or cat it is playland central! 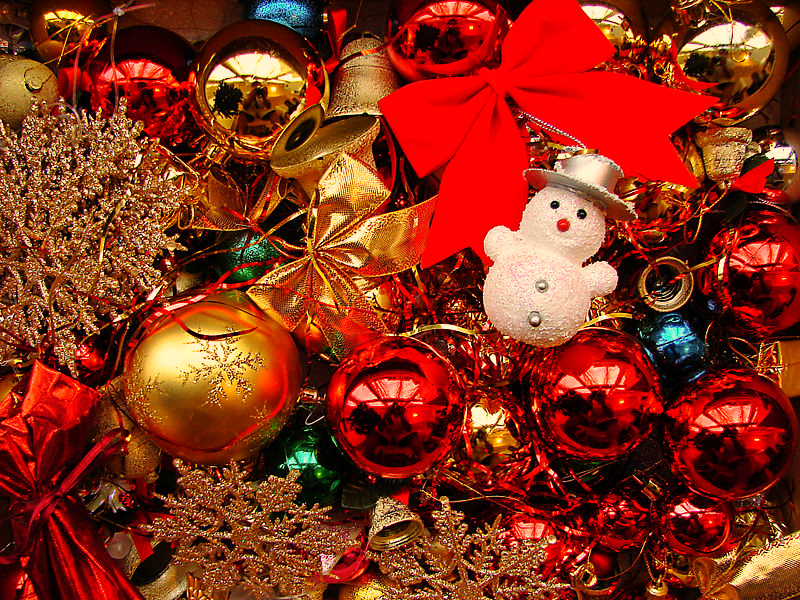 A beautifully decorated tree is covered with tinsel, bulbs and other shiny objects. To a cat, any shiny object is almost impossible to ignore. Diamond rings, jewelry and other objects are coveted by cats. They will often carry them away and hide them or in the case of dogs, swallow them. Cats love climbing Christmas trees and the whole thing can come tumbling down injuring the animal. Dogs are fully capable of chewing and or swallowing those beautifully colored Christmas ornaments hanging from the tree. Dogs are not the only creatures that chew on glass bulbs. This author was reminded by his mother many times that she found her toddler son sitting underneath a Christmas tree with broken shards of glass in his mouth. Apparently, the good Doctor survived. I often said to clients with pets and young toddlers that the best thing to do with a Christmas tree was to hang it upside down from the ceiling. Cats find shiny tinsel totally irresistible. It is silvery and shiny but it is also LINEAR. Cats love string, thread and tinsel; anything that forms a line when stretched out. They have a habit of swallowing these items. These form linear foreign bodies in the digestive tract and usually an obstruction is the result. I recommend any household with a cat or cats to not put tinsel on the tree. Save yourself a lot of headaches! Christmas trees, menorahs and other colorful devices implemented during the holiday season all need electricity to work. This means electrical and extension cords to provide electricity to them. Young puppies, in particular, are attracted to the cords since many are in the chewing stages of dental development. These injuries result in burn lesions to the lips and tongue that require medical attention. Cats also can get fixated on this but it is usually a puppy problem. The best solution is to cover all extension cords with duct tape so as to obscure the cords and not tempt animals. People love to entertain this time of year. Getting together with friends and family is part of the Christmas fun. Pets can often get under foot during these situations and get injured. It does not take much pressure to snap a small dog’s front leg. People can also trip, fall and injure themselves at the same time. You may also encounter guests that are afraid of dogs and do not like them jumping up on them. Front doors are always opened and closed as guests are always coming and going. This provides a perfect escape plan for any cunning cat or dog. They may get out and possibly get hit by a car. It might be better to consider putting the pets in a spare room during a party or boarding the animals at an appropriate facility. Food and beverage are ever present at these events. Most holiday foods are spicy and should not be given to dogs as it will usually cause digestive issues such as vomiting or diarrhea. Trash bags should be changed frequently or the containers elevated to prevent dogs from dumpster diving. Bacteria can contaminate food in short order leading dogs to acute pancreatitis and other digestive disorders. If you are going to allow dogs out and about during the festivities make sure that you feed the animals before guests arrive! Pets and Christmas together bring a lot of happiness. Who can resist a cute, tiny puppy this time of year. When I was practicing, I always loved it when December rolled around and I got all these new Christmas puppies to work on…er…to play with! Puppies require, like a newborn infant, a tremendous amount of time to care for. This includes: feeding, watering, cleaning up after the animal, toilet training and the like. Between Christmas and New Year, most people have very little free time let alone time to take care of a new puppy. The animal may also get into trouble by things mentioned in previous paragraphs. It might be a bit easier to put a pet toy or a leash and collar in a wrapped box and present that to your children. Include a note inside that explains that AFTER Christmas you are going to buy the new puppy. This will solve a lot of problems. I personally want to take this time to wish all my readers a Merry Christmas or Happy Hanukkah!